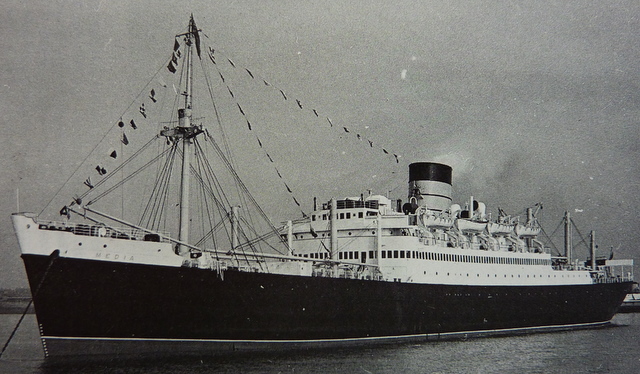 The MEDIA and the PARTHIA were the first new passenger ships to be built for the Cunard Line after the Second World War. The pair were unusual for Cunard in that, notwithstanding comfortable accommodation for 250 first-class passengers, they were basically large cargo carriers with a deadweight capacity of 7,000 tons. The two were cargo / passenger, rather than passenger / cargo ships, with a cargo capacity of 371,430 cubic feet, with 60,050 cubic feet of insulated space. The problems of operating cargo / passenger ships were twofold. As passenger vessels the two ships had to keep to a strict schedule and this could readily be upset by stevedore strikes. Secondly, with accommodation for 250 first-class passengers, a large proportion of the crew was employed in the stewards' department. During the week-long layovers both at New York and Liverpool, the members of the stewards department had virtually nothing to do, but yet were maintained on full ship's pay. 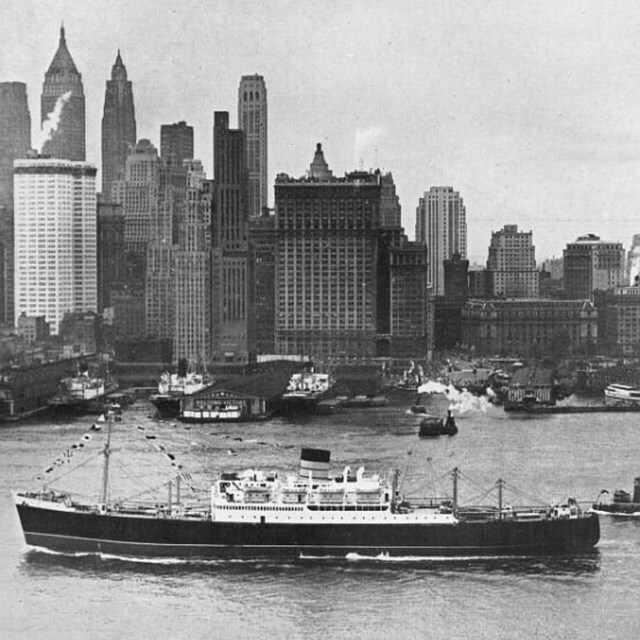 The MEDIA and the PARTHIA sailed on a four-weekly schedule from Liverpool to New York, providing a fortnightly departure on a Saturday afternoon. Very occasionally calls were made at Greenock on the homeward passage, usually for the benefit of passengers wishing to attend the Edinburgh Festival. 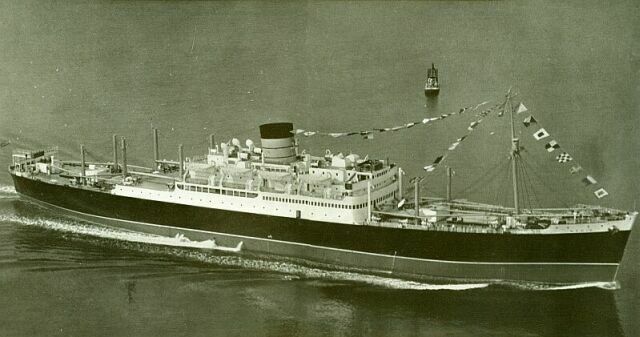 At the time of their disposal on 1961, the Cunard chairman Sir John Brocklebank said that the two ships had been built in special circumstances for special reasons after the war. He did not elaborate on exactly what these circumstances and the reasons behind them were. Sir John went on to say that they had both served their designed purpose well, but were now making a loss. It was Cunard's intention to replace them with smaller cargo vessels which would make a profit. Sir Humphrey de Trafford, a well-known race horse owner in the 1950s and early 1960s, and a regular Cunard passenger, named two of his horses after the MEDIA and the PARTHIA. Owned by the Cunard Steamship Co. Ltd., registered at Liverpool. The MEDIA was the first of the two sisters to be completed and was launched at Clydebank on 12th December 1946. She left Liverpool on her maiden voyage to New York on 20th August 1947. In 1952 she became Cunard's first passenger liner to be fitted with Denny-Brown stabilisers. 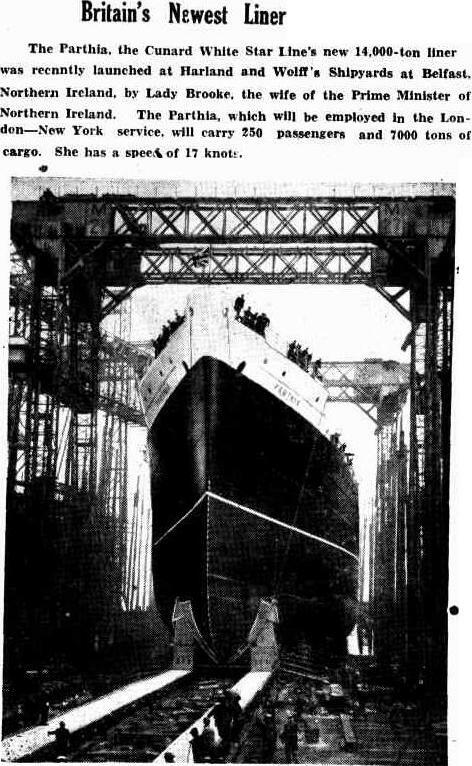 of her delivery voyage from the Clyde to Liverpool in August 1947. During her annual overhaul in January 1961, there was a strike of Amalgamated Engineering Union members which caused the MEDIA to be trapped in Liverpool's Gladstone Graving Dock for some months. Rumours began to circulate that the MEDIA would be disposed of, mentioning as buyers the Cia Genovese d'Armamento SpA (the Cogedor Line), but as late as May 1961 Cunard was denying the rumours. A fortnight later Sir John Brocklebank admitted to the press that contracts had in fact been drawn up for the sale of the MEDIA at a price of £740,000. The MEDIA made her last sailing in Cunard service in September 1961, leaving Liverpool with just 145 passengers. On her homeward passage she anchored a distress call from the German ship BORNBERG and took on board a crew member who was operated on for appendicitis by the MEDIA's surgeon. On 14th October 1961 the MEDIA was officially handed over to her new owners with a short ceremony taking place in mid-Mersey, when the Italian flag replaced the Blue Ensign. The MEDIA was extensively refitted at Genoa by Officine Allestimento & Riparazioni Navia. In order to increase the space for passenger and crew arrangements, the two decks below the main deck, both originally used for cargo, were utilised and the superstructure enlarged by alterations to her lines, both forward and aft. The passenger accommodation was increased from the original 250 to 1,224, accommodated in 377 cabins; 152 being two-berth, 220 four-berth and five eight-berth. A new-style funnel completed the transformation, and the changes raised her gross tonnage from 13,345 to 15,465. 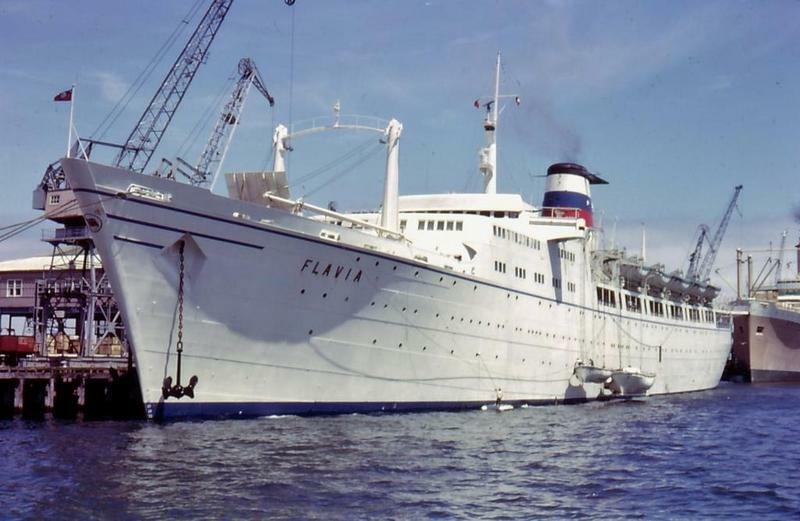 Under the new name of FLAVIA, she sailed from Genoa to Sydney in September 1962. From 1968 the FLAVIA was used almost exclusively for cruising and the following year she was sold to Costa Armatori SpA of Naples for full-time cruising out of Miami. Somewhat unusually, the ship never received a Costa 'C' name. After thirteen years with Costa, the FLAVIA was sold to Flavian Shipping S.A. in 1982 and registered at Panama. Her name was changed to FLAVIAN and she was laid up at Hong Kong. 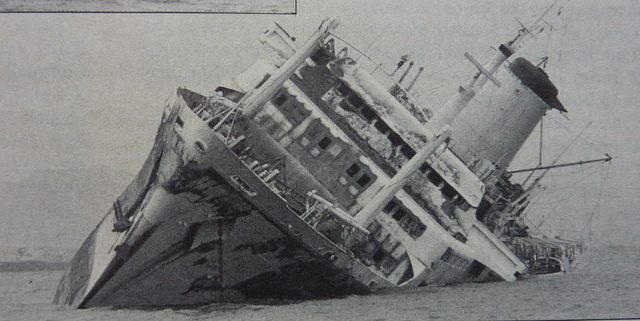 In 1986 the old MEDIA was resold to Lavia Shipping, also of Panama, and the name was once again changed, this time to LAVIA, On 7th January 1989 fire broke out and the ship had to be beached. The ship, which had been laid up at Hong Kong since 1982 was apparently being renovated, and her crew misguidedly wasted time by trying to extinguish the blaze themselves before calling in the fire services. 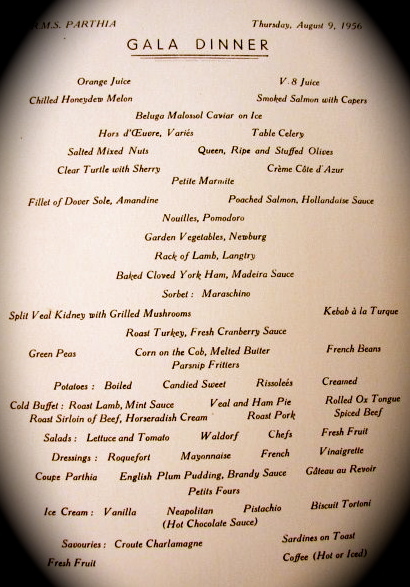 The LAVIA, Cunard's MEDIA of 1947, became a total loss. The MEDIA's sister ship, the PARTHIA, was built by Harland & Wolff at Belfast. She had the distinction of being the only ship ever built by them for the Cunard Line. The new PARTHIA was launched on 25th February 1947 and left Liverpool on her maiden voyage to New York on 10th April 1948. The success of the MEDIA's stabilisers led to the PARTHIA being similarly equipped in 1953. The PARTHIA became caught up in the same strike that had trapped the MEDIA in dry dock in 1961, and it was not until 1st July of that year that she was back in service. 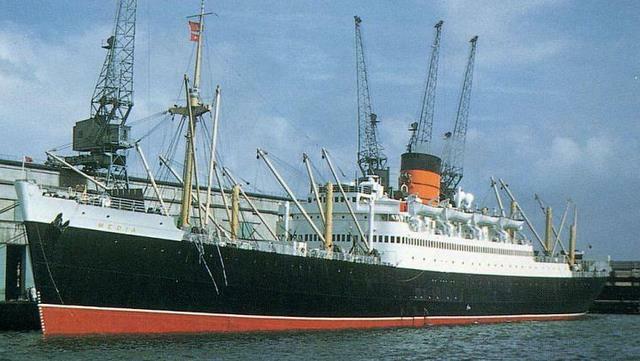 At the Cunard Line's Annual General Meeting the previous month, chairman Sir John Brocklebank had announced that the PARTHIA, along with the MEDIA, would be disposed of, and on 1st November 1961 the New Zealand Shipping Company completed the purchase of the PARTHIA. 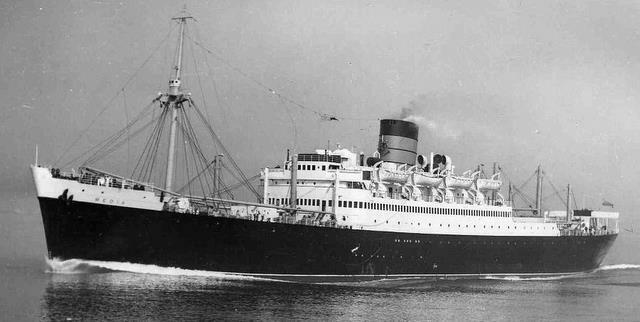 The PARTHIA was sent to the Clyde to be converted to carry 350 passengers on a service from London to Auckland and Wellington via Curacao, Panama and Tahiti; returning via Tahiti, Panama, Kingston, Miami and Bermuda. Her name was changed to REMUERA. The REMUERA was reconditioned by Alexander Stephen & Sons at Linthouse. 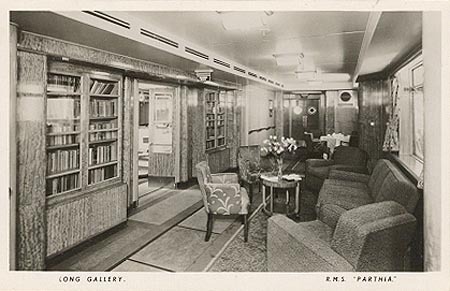 The dining saloon, galleys and all ancillary spaces were extended; a well-equipped laundry installed, and a swimming pool was constructed on the after end of the promenade deck. 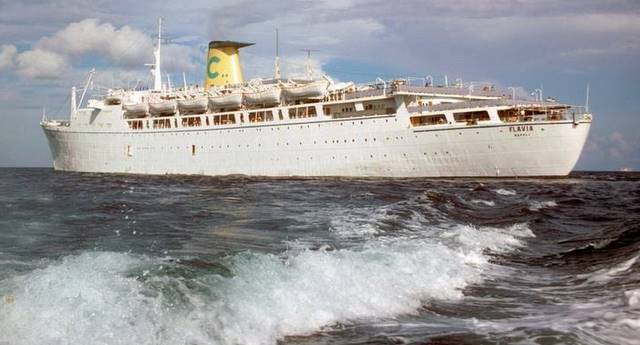 Full air-conditioning was added and the REMUERA sailed on her maiden voyage on 1st June 1962. Fares ranged from £155 for a berth in a six-berth cabin to £260 for a single-berth cabin with shower for the one-way passage. 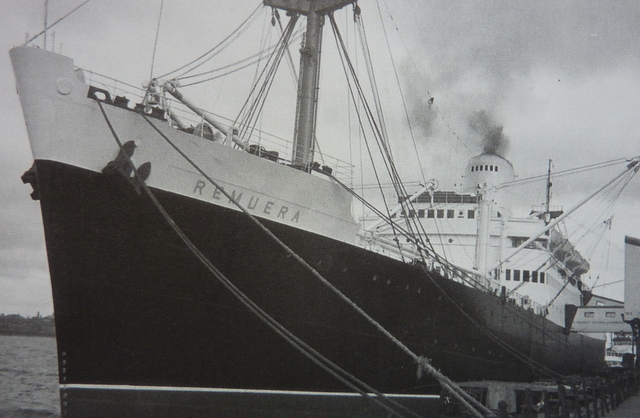 With the introduction of the REMUERA, the New Zealand Shipping Company withdrew its RANGITATA and RANGITIKI from service. 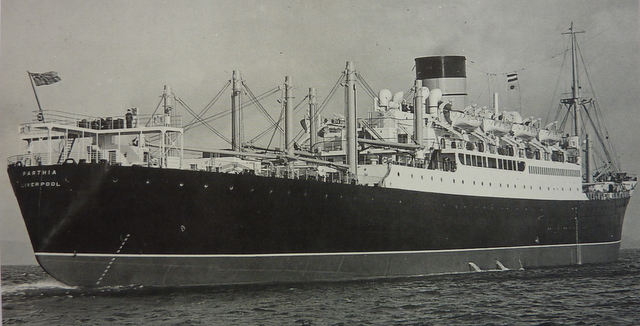 Tony Millatt was Radio Officer on board the REMUERA at the time of her visit to Liverpool (photograph above) and recalls that the Liverpool visit was to load cargo for New Zealand. Office staff from the New Zealand Shipping Company were on board for a 'cruise' on the coastwise positioning voyage from London to Liverpool. The REMUERA's New Zealand-bound passengers were embarked at Princes Landing Stage. Tony also mentions that cargo operations were never really successful on the REMUERA and that there was time to spare awaiting cargoes, which was filled in with short cruises from New Zealand. before the domed top was added to the funnel in May 1963. On the REMUERA's maiden voyage to New Zealand, complaints were received from passengers of smoke and smuts descending from the funnel on to washing hung out to dry on the after end of the boat deck. This was blamed on poor quality bunker fuel left in the vessel by Cunard, and the master, Captain Lawson, said he was confident that the problem would disappear after the ship had been refuelled at Curacao. In the event the problem just got worse. No doubt the PARTHIA's first-class passengers never had cause to hang out their washing on deck on their transatlantic crossings, but it was a different matter for the passengers on the much longer UK/New Zealand voyage ! The upshot was that a domed top to the REMUERA's funnel was fitted in May 1963 in attempt to stop the problem. After just two years in service, the New Zealand Shipping Company announced in 1964 that it would be necessary to withdraw the the REMUERA towards the end of the year. The ship had made six round voyages and several trans-Tasman passages and had been well-supported by passengers. However, the cost of her conversion had proved greater than anticipated and there were increases in operating costs. Wool cargoes had been substantially reduced, and, as wool was to have provided the bulk of the cargoes, the REMUERA had suffered from a loss of freight earnings. 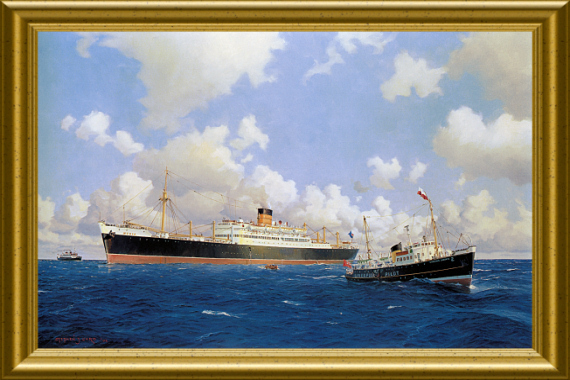 The vessel was transferred to the Eastern & Australian Steamship Company and renamed ARAMAC. On 8th February 1965 she inaugurated a Melbourne - Hong Kong - Japan service. Two years later the ARAMAC passed the ownership of the Federal Steam Navigation Company. 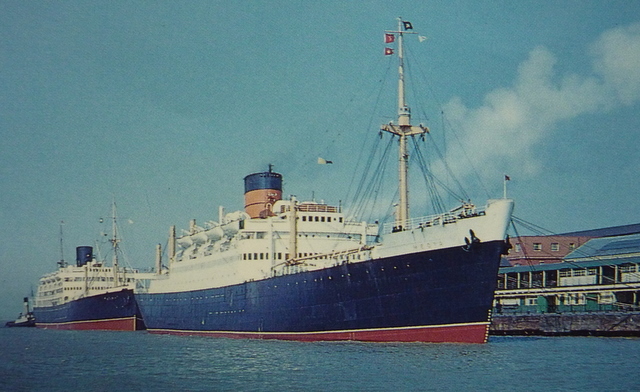 In November 1969 the end for the old PARTHIA came when the ARAMAC arrived at Kaohsiung for demolition.